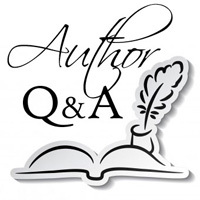 We are delighted to welcome author Connie di Marco to Omnimystery News today. Connie begins a new Zodiac series with The Madness of Mercury (Midnight Ink; June 2016 trade paperback and ebook formats) and we recently had the chance to talk more about it with her. Omnimystery News: Tell us a little more about your new Zodiac mysteries. Connie di Marco: The Zodiac mysteries feature Julia Bonatti, a San Francisco astrologer who never imagined that crime or murder would be part of her practice, yet she's compelled to investigate and inexorably drawn into danger. Julia had planned on a quiet life and a teaching career, but when her fiancé is killed in a hit and run accident, she's no longer able to continue on that path. She sought answers and found solace in the study of astrology and eventually discovered that her talents lay in helping others. Julia rubs shoulders with other occult practitioners, but her profession brings her into contact with people from all walks of life. Their unique problems leave a wide open field for possible plots and stories. OMN: How do you expect to see her develop over the course of a series? CdM: I think characters should evolve in the "real time" of a series. Their perceptions and attitudes need to grow and deepen. Otherwise there's a danger that a character will become cardboard, always winning, never being damaged. The changes can be big or small, depending on the plot, but they should occur and the events that shape a character can be woven throughout the larger story. In essence, that character is still the same crime-solving personality, but now they've been molded and changed by their experiences, so when you meet them in the fourth or ninth book they're not quite the same as they were in the first story. OMN: Suppose Julia were to interview you. What would be her first question? CdM: She'd say, "Why have you given me so many obstacles and problems? Why have you made my life so damn hard?" My answer would be: "You'd be a very boring lead otherwise!" OMN: Into which genre would you place this series? And do you think there are any disadvantages to categorizing it as such? CdM: Yes, I think there are disadvantages to labeling because so many books just don't fit neatly into one category. The Zodiac Mysteries are traditional mysteries but this first book, The Madness of Mercury, has a strong dystopian element, the backdrop to the real mystery. Given the urban setting of the Zodiac Mysteries, there's a wider range of crime possibilities, so in that sense, I don't think this series fits neatly into either a cozy or a mystery/thriller category. My first series, the Soup Lover's Mysteries, written as Connie Archer is a cozy series — a village mystery and a culinary cozy. I consider these traditional mysteries as well, that just happen to be centered around a soup shop in a tiny village in Vermont. They've been described as dark cozies and I guess that's fairly accurate. The characters are real people with real problems, and in spite of a likeable protagonist and the eccentric denizens of the village, the crimes are real and don't always happen off stage. Children have been put in danger and I haven't held back in describing the discovery of the body(ies). Only once did my editor pull me back and say, "Hmm, a little gruesome, no?" OMN: How would you tweet a summary of The Madness of Mercury? CdM: A San Francisco astrologer takes on a dangerous religious cult, saves an elderly woman from death and solves a murder close to home. CdM: I like to start with something that impacts me emotionally about a crime. And in a series, see how that event will affect my characters and their environment. I realized early on that I'm much better off outlining because it allows me to step back and view the action as an editor or critic would. I like to use post-it notes in different colors and work out the broad outlines in a chronological way into a sort of bell-shaped curve. One color for the main story line, another for a subplot that can weave in and out, maybe a third color for red herrings and tangents and another for places where the clues will drop. Who knows what at what point in time? I've found it saves a lot of time and a lot of rewriting if I approach the structure that way. Then I convert it to a written outline that I more or less follow. If a brilliant idea should pop into my head, then I'm flexible, but if not, which is most of the time, I do have a road map. If I just stick to it, I trust I'll get to the end and hopefully have a cohesive story. My cast of characters does expand as needed. There are practical considerations, especially for an amateur sleuth who doesn't have access to police or FBI databases. Maybe a lawyer with certain software needs to be invented. Or a friend who has a civilian job with the police. In The Madness of Mercury, other practitioners of the occult arts are being threatened by the events in the city. I needed a medium, a past life reader and a Wiccan. It was fun to invent those characters. CdM: I do whatever is necessary and thank heavens for the Internet. Of course as crime writers we have access to wonderful forensic and police experts. In The Madness of Mercury, my protagonist writes an astrological advice column for the city's newspaper. Her outspoken advice makes her the target of a megalomaniac preacher who exerts enormous influence. This aspect of the story is loosely based on the Jim Jones and People's Temple years in San Francisco. I was living there at the time, but none of it grabbed my attention until the shootings and poisonings in Guyana. It was foggy in my memory and so I had to go back and read all I could about Jones's activities and the ultimate tragedies. It was frightening to realize that the real story was as terrifying as the fiction I envisioned. OMN: How did The Madness of Mercury come to be titled? CdM: Because of the astrological hook, I liked the idea of each book incorporating the name of a planet. The Madness of Mercury refers to an evil Mercury-ruled (Gemini) preacher and the mental state that can occur when that planet is badly aspected in an individual chart. Mercury wasn't just the messenger of the gods, he was able to cross the boundary between the living and the dead and having no home of his own, ruled over crossroads where suicides were buried. It was only later I discovered that the "Madness of Mercury" refers to a neurological condition caused by the inhalation of mercury fumes. Hat makers were particularly susceptible to this occupational hazard. I wasn't at all aware of this at the time I chose the title, but I guess it works in the context of the story since it implies a condition of insanity. OMN: Suppose your Zodiac series were to be adapted for television or film. What advice would you give the producers? CdM: I've been asked that before and I always feel a bit of resistance to answering that question. When music videos first became popular, I remember the comments of many people who said they wanted the story of the song to play in their mind. They didn't want their vision spoiled by someone else's interpretation. Someone once suggested I add photos or drawings of the characters on my website, and I said, no, absolutely not, for the same reason. As we read, we envision a character in our mind's eye. Yes, the author might describe that cop as a middle-aged man with a beer gut, but really, as readers, that's all we need. Then we need to learn how that character thinks and reacts. Some casting directors are brilliant at choosing actors who fit and some are not. Is there a better Poirot than David Suchet? I can't imagine one. Was Tom Cruise a good choice for Jack Reacher? I didn't think so. I've been both disappointed and impressed by casting directors' picks and producers' choices. If anything I've written is ever adapted for TV or film, I'd leave that to the experts. I'd only scream if they made a bad choice. Of course by then it could be too late. The contract's been signed, so perhaps I'd just grab the money and turn off the TV. CdM: I read for escape and adventure. Most of all, I love a story that I feel I can sink into. By that I mean, a writer has opened a door into a world that I can see and feel and taste, and I know I'll be taken on a ride that I won't want to leave. My reading tastes are definitely along darker lines in mysteries and thrillers. And there are books I've loved and want to read again and again to learn from them, to study them until I can see the machinery behind the art form. How did that writer accomplish that? What was it about that phrasing that took my breath away? I want to know how it was done. I want to learn from other writers. I don't think we can ever stop exploring or learning. There's always more to be discovered. Connie di Marco is the author of the Zodiac Mysteries featuring San Francisco astrologer Julia Bonatti. Writing as Connie Archer, she is also the author of the Soup Lover's Mysteries set in Vermont from Berkley Prime Crime. You can find her excerpts and recipes in The Cozy Cookbook and The Mystery Writers of America Cookbook. Connie is a member of Mystery Writers of America, Sisters in Crime and International Thriller Writers. For more information about the author, please visit her website at ConnieDiMarco.com and her author page on Goodreads, or find her on Facebook and Twitter. San Francisco astrologer Julia Bonatti's life is turned upside down when she becomes the target of the city's newest cult leader, Reverend Roy of the Prophet's Tabernacle. Driven out of her apartment in the midst of a disastrous Mercury retrograde period, she takes shelter with a client who's caring for two elderly aunts. One aunt appears stricken with dementia and the other has fallen under the spell of the Reverend Roy. To add to the confusion, a young man claiming to be a long-lost nephew arrives. The longer he stays, the more dangerous things become. Is the young man truly a member of the family? Can astrology confirm that? Julia's not sure, but one thing she does know is that Mercury wasn't merely the messenger of the gods―he was a trickster and a liar as well. — The Madness of Mercury by Connie di Marco. Click here to take a Look Inside the book. I love the descriptions and characters you talk about in this news series. I look forward to reading it. Oh, thank you, Nancy! I'm excited the Zodiac Mysteries are finally out! Great interview, Connie! Your comment about the real time evolution of characters snapped a light bulb over my head and sent me scurrying to my WIP to tie a scene back to my previous book. Thanks! Hi Craig ~ Glad my comment was of use. And I'm looking forward to your next opus too! Wonderful interview! I'm so excited for this new series. Congrats! Thank you, Laura ~ so glad you stop by! I'm so excited that Madness is finally out in the world! This sounds like huge fun! Can't wait to read it! Hi Kirsten ~ so glad you've discovered the Zodiac Mysteries here! I hope you'll get to meet Julia and explore her world soon! Hi Penney ~ Thanks so much for stopping by! And I'm so glad to hear you've enjoyed all the stories in Snowflake, VT too. I hope you get to meet Julia and enjoy her San Francisco adventures as well!